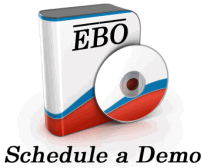 The Equitable Business Opportunity Solution (EBO) ARRA Compliance tools collect information from Payrolls as well as manual Indirect ARRA entries. ARRA supports all required FHWA forms and provides tools to determine missing information. ARRA results, as with many other EBO screens, allows you to download summary and detailed supporting information to spreadsheet or printable forms. With the downloads, Internal Audit as well as ARRA and National Review team Audit requirements are easily and quickly satisfied.